GUITARS AND AMPS EXPO 2014: From our new ID:Core practice amps to the flagship HT Venue series, all the way up to the high-end Series One and Artisan tube amps, our award winning products are made for guitarists by guitarists, with a passion for tone that's evident in everything we design. Our goal is to help guitarists express themselves with high quality, affordable products that are different from the rest. Whether you play rock, country, pop, or any other musical style, our products, and unique features such as the proprietary ISF (infinite Shape Feature), will help you find the "Sound in your head." 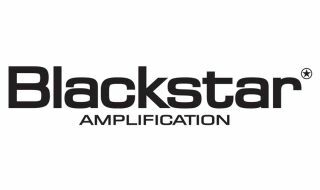 The affordable ID:Core Amplifiers feature the core attributes of Blackstar's original ID:Series. These programmable, wide stereo guitar combos are small in size yet deliver huge tone. Authentic 'boutique' cleans and super high gain overdrives are combined in this innovative, highly portable, tube guitar amp line. This affordable series offers a control set like a traditional amp, coupled with versatile programmability and USB. For more information visit the Blackstar website, or connect with them via Facebook, Twitter and YouTube.